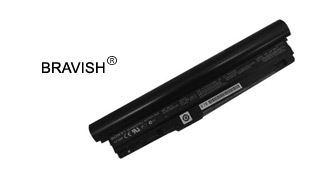 Description SONY VGP-BPL11 Series Battery Replacement for laptop or notebook made from high quality laptop battery cells, The SONY VGP-BPL11 Battery is designed to be 100% manufacturer compatible with SONY part numbers or models.All SONY VGP-BPL11 Battery for sony VGN-TZ132/N VGN-TZ17N VGN-TZ33/W VGN-TZ132N VGN-TZ18/N VGN-TZ37N/G also had passed strict quality assurance procedures to achieve international standards such as CE, UL Listed. - Do not expose VGP-BPL11 laptop battery to water or other moist/wet substances. - Do not drop, hit or otherwise abuse the battery as this may result in the exposure of the cell contents, which are corrosive. - SONY VGP-BPL11 battery pack gets a little warm when it works, keep your laptop in a well ventilated place and keep it cool. - If you do not use your laptop for a long time, remove the VGP-BPL11 VGP-BPS11 batteries from the laptop. - Please make sure the product that you are going to buy fits the model and part number of your original laptop. - This VGP-BPL11 battery pack is a rechargeable, removable Lithium-ion battery designed to work with SONY laptop computer. - 100% safe shopping guaranteed. Usually Ships within 24 hours! - We accept credit card payment PayPal payment system.